Clinique All About Eyes: Clinique’s famous eye cream is really good at moisturizing. I’ve already repurchased it. While this is among Clinique’s lighter eye creams I still find it plenty rich. I only use it at night because I am afraid it might make my eye makeup slip or smudge. Secondly I ran out of my beloved men’s shampoo, Nivea Pure Impact. They have overhauled their whole line and this shampoo is not available anymore. Boo! I don’t even know what it was but nothing made my hair look and feel as good as this one. I would have repurchased this until the end of days, but now I am on the search for the perfect shampoo – again! Last item: I discovered an older sample of YSL Baby Doll and it was still good, so I sprayed with abandon, thinking I could buy a bottle anytime. Ha! Foiled yet again. While the internet claims it’s still beind produced, every Austrian retailer tells me it is not available anymore. 😦 Baby Doll used to be huge many years ago. I can’t believe they’d discontinue it. It smells of grapefruit and candied rose. I am not the biggest rose fan, but this cute scent totally did it for me. I was recommended “In love again” as a replacement, but while they are similar, Love lacks the candied rose aspect. It’s just not the same. And this concludes my empties. 🙂 I am still working on reducing my stash of shower gels and face creams. Of everything else I have usually only one or two items. I’m being good when it comes to skin care. Not so much with makeup, haha. As an extra I received a sample of a Terry de Gunzburg perfume, Bleu Paradis. 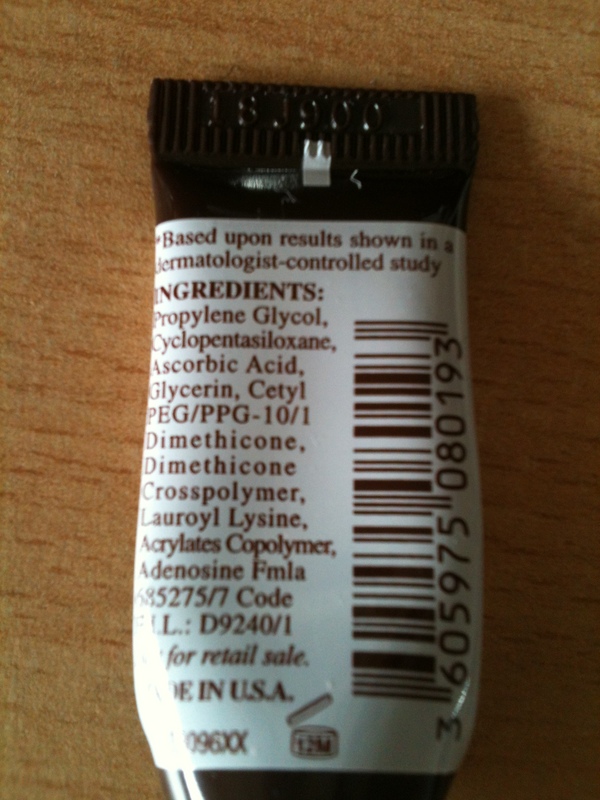 A sample of Artdeco nail growth activator. 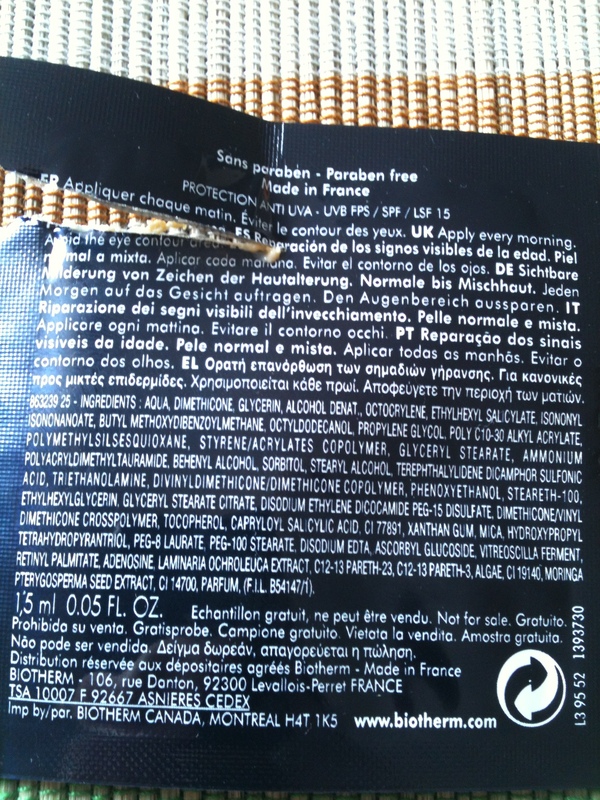 Nivea sun protect & bronze sun screen SPF 30: hurray, I’ve been hoping for sun screen, because I was about to run out! Dolce & Gabbana Pour Femme eau de parfum. A big box for a small sample, haha. It’s a sweet oriental, I like it. Annemarie Börlind Lifting Serum: a 10 ml sample. And finally, Shiseido laquer gloss in baby doll (PK 304)! Swatch! It’s a subtle color on the lips and it feels great. The douglas box is still not a subscription box in Austria. It is available six times a year and everytime you have to make the conscious decision to order it (and then you have to be lucky enough to get it, it is very limited). I think that and the low price of 10 € including shipping makes it the best box available in Austria. 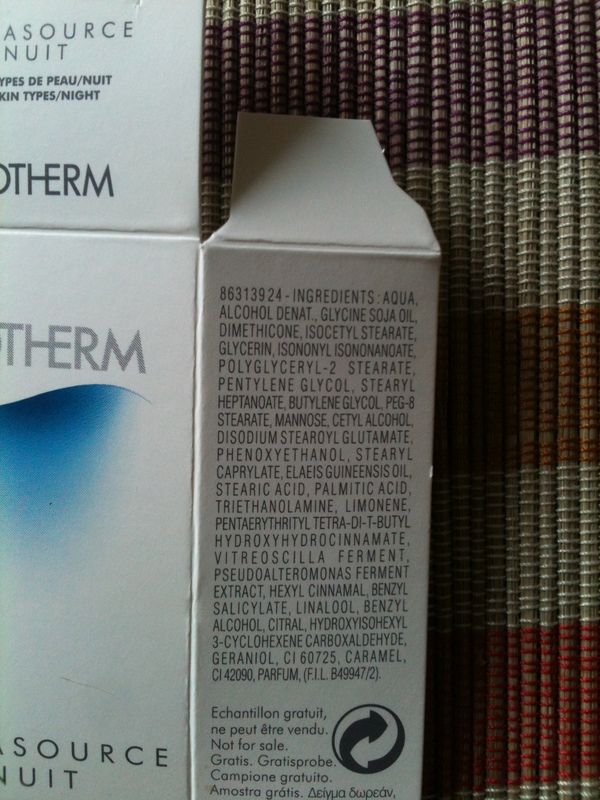 Plus the fact that out of the three boxes I ordered so far, none contained hair products! (There was at least one box that I didn’t order because it said there was going to be shampoo in, so the infos you get beforehand are pretty useful as well). Every other box service, take notes! I’ve been slacking off with these posts so here’s a big compendium. I’m trying to keep it shorter than usual. I think it’s pretty amazing how many things I use up in three months, even if most of them are samples. 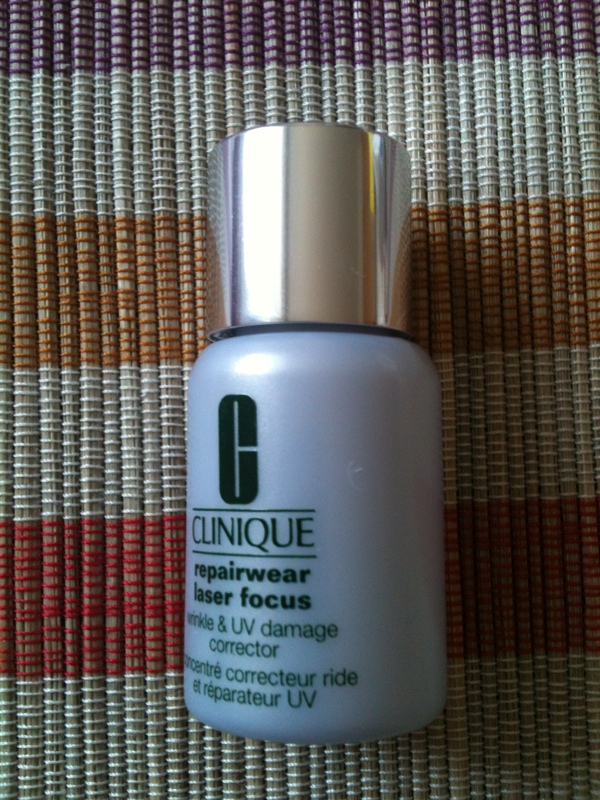 Clinique repairwear laser focus: a good serum, not as wowing as the biotherm blue therapy serum, but almost. no scent. 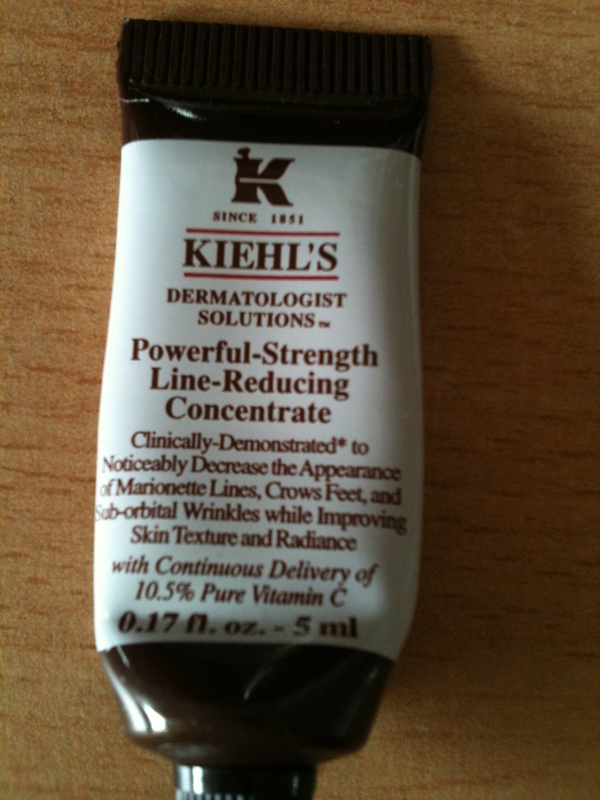 big plus: can be used on the eye area and I didn’t need additional eye cream. click to read the ingredients on full size. 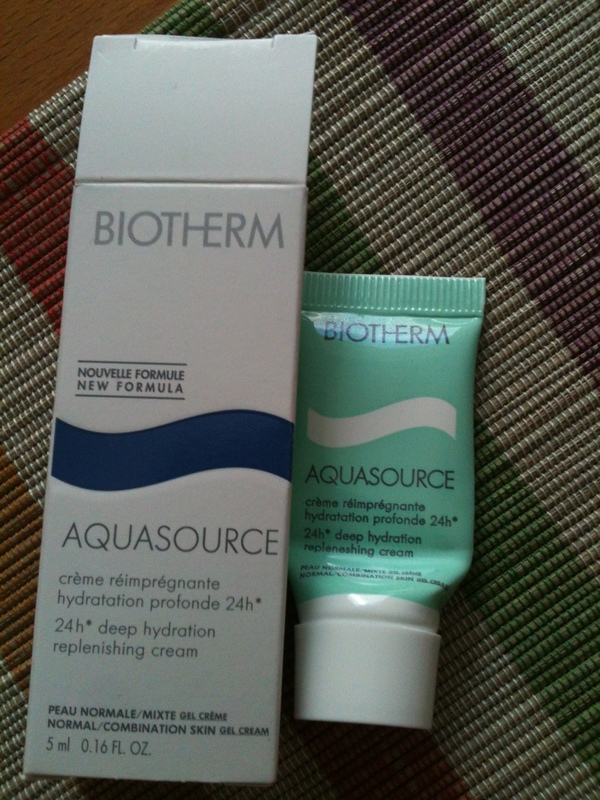 Biotherm aquasource 24h cream: this is for normal/combination, there’s also one for dry skin. it’s okay, but I liked the nuit version better. 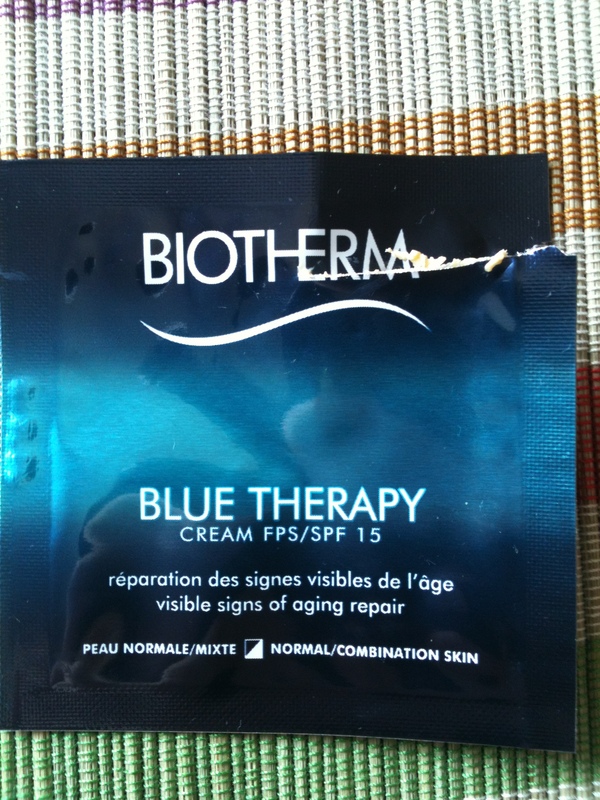 Biotherm blue therapy cream spf 15: I was very impressed by the blue therapy serum, but the cream is average imho. 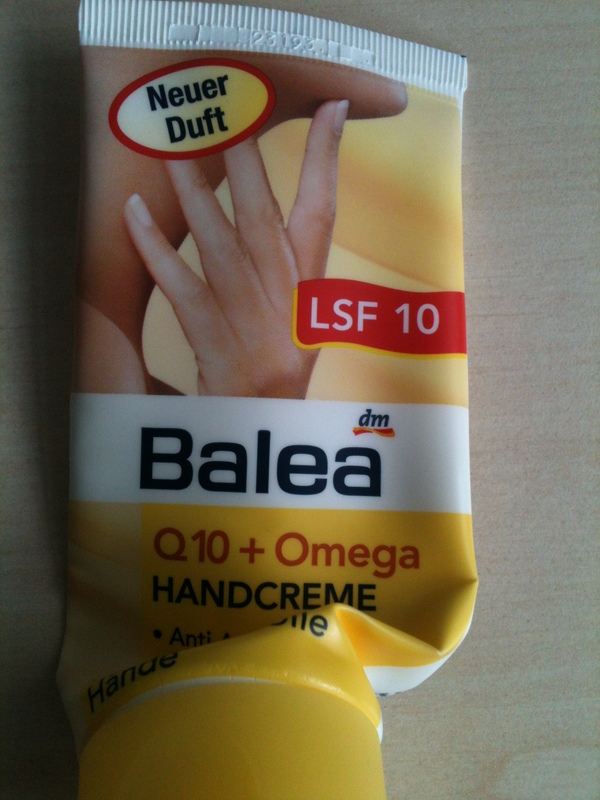 Balea Q10+Omega Handcreme: this is an anti aging hand cream with SPF 10. very nourishing, very cheap and I’ll probably repurchase. 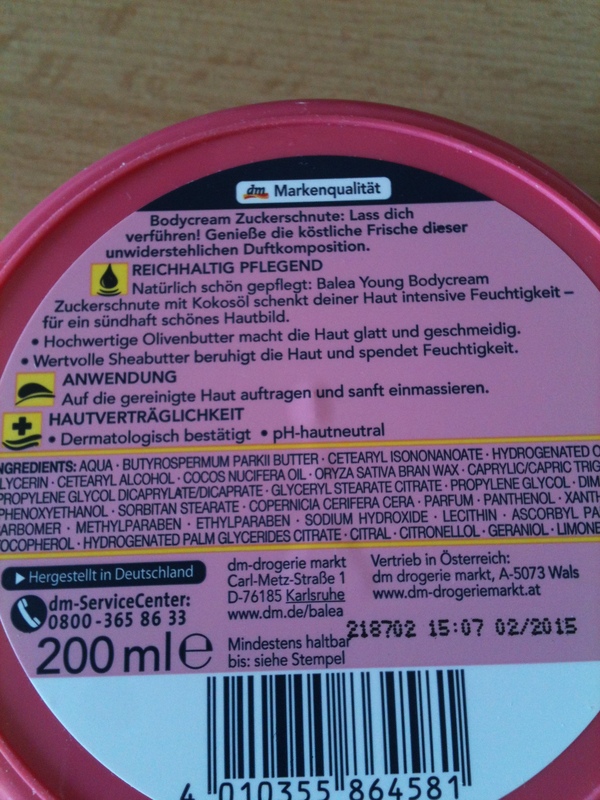 Balea Young body cream Zuckerschnute: oh my. like the picture tries to tell you, this smells of candy, but not fruity as one might believe, more like nutty things? Sorry I can’t really describe, it’s a very fake sweet scent. my 12 year old self would have loved it. my adult self will not repurchase and remember next time that Balea Young IS for 12 year olds. as body creams go, it was good and rich. 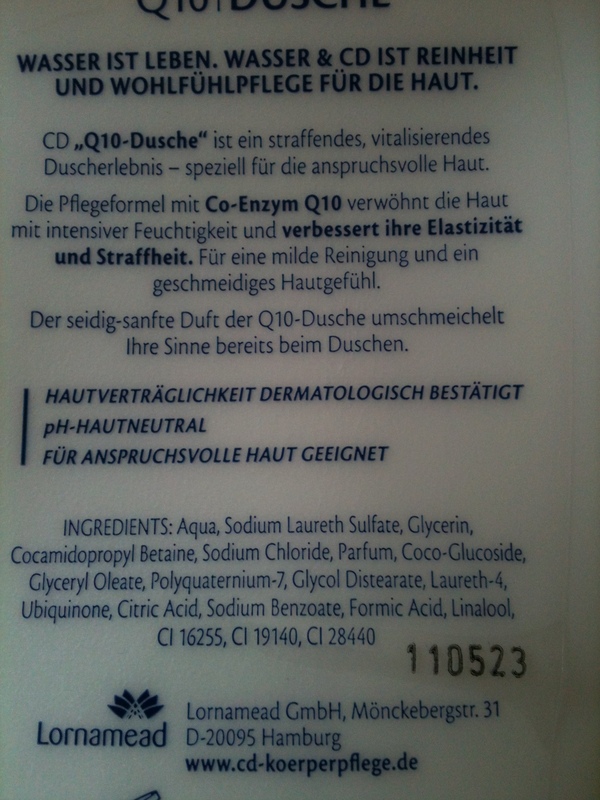 Nivea Aqua effect Reichhaltige Tagescreme SPF 15 for dry skin: I also had the sample for oily skin, which was very drying. this one here is really good for dry skin. 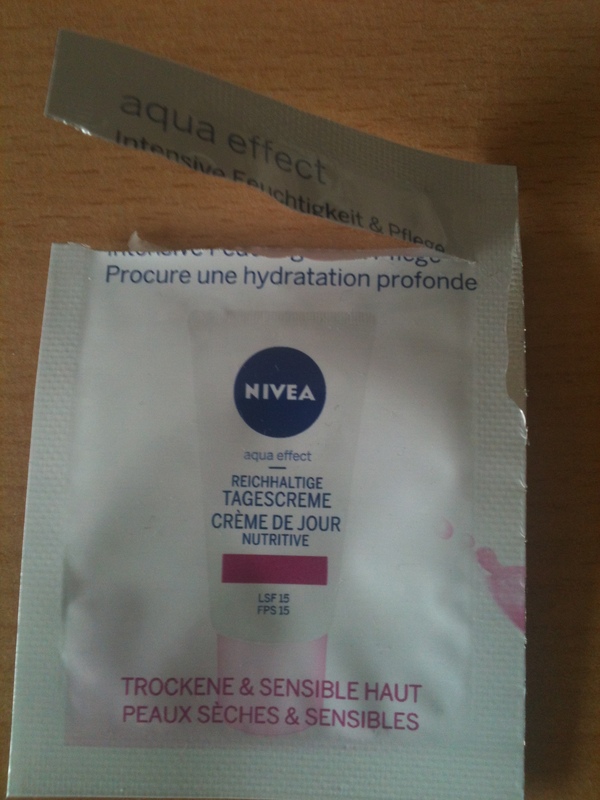 it’s a typical nivea cream product in my opinion. typical smell, typical feel. 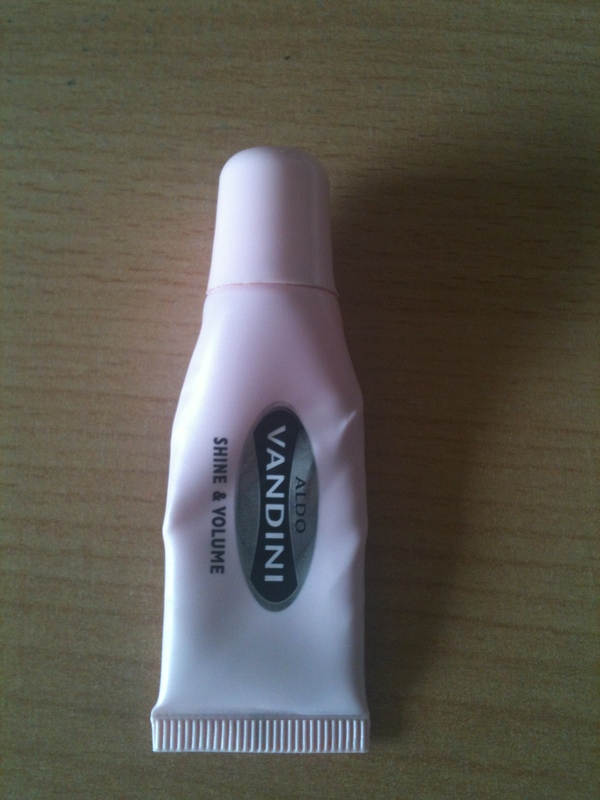 Aldo Vandini shine&volume: despite the name, this is not a hair product, it’s a pink tinted lip gloss. I found it nicely moisturizing. 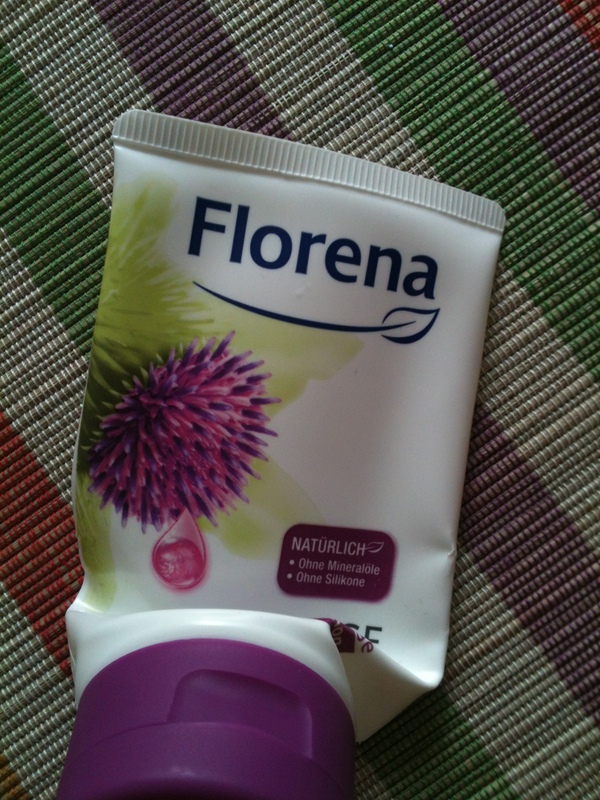 Florena anti age hand cream: Great cream, sadly no SPF which I would expect in an anti aging product for hands. 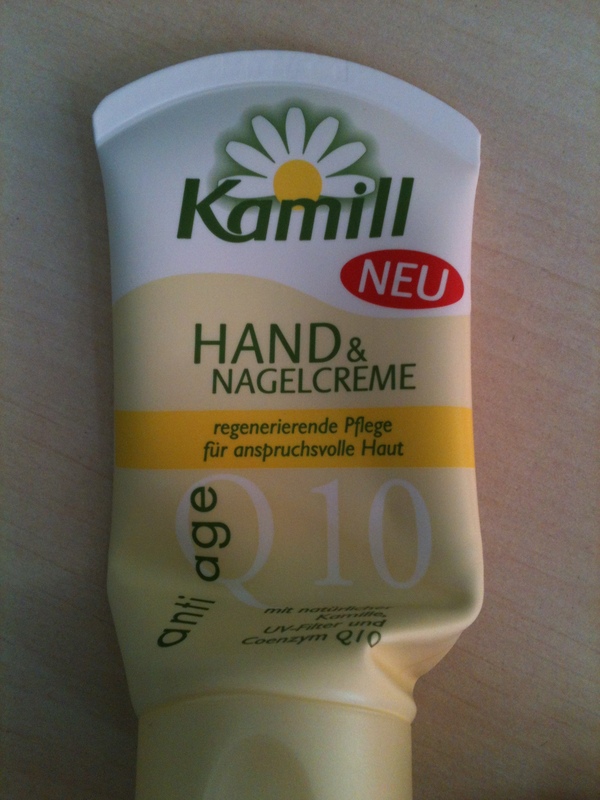 Kamill Hand&Nagelcreme anti age: this on the other hand, claims to have sun protection, but lists no SPF. not sure what to think about that. a little thinner than the Florena one up there, the scent is super sweet. and yes, that means I go through 75ml hand cream per month. what can I say, I am neurotic about hand washing and that makes my hands super dry. I think I should try to buy bigger sizes. 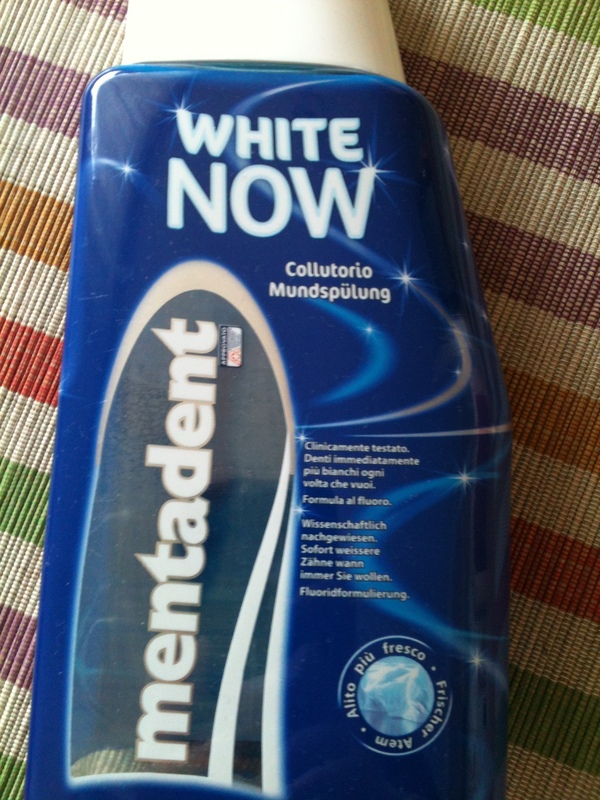 mentadent white now mouth wash: a disappointment. 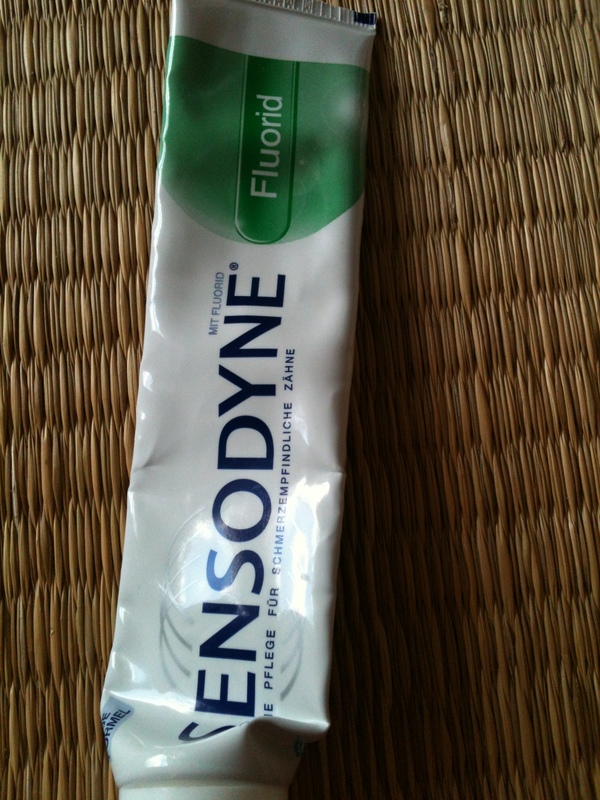 it claims to make your teeth whiter, while admitting the effect is temporary only. the product was electric blue so I guess it tried to cover the yellow in teeth with the blue. I saw no difference at all and only used it up because I am stubborn. would not recommend this to anyone. 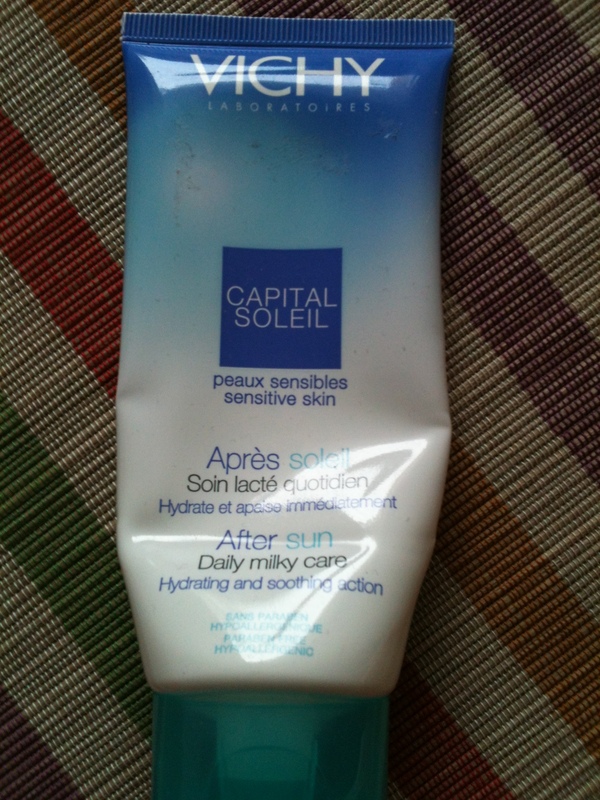 And for last: Vichy Capital Soleil after sun lotion: this only came in my Glossybox in June and I am sad to see it go. 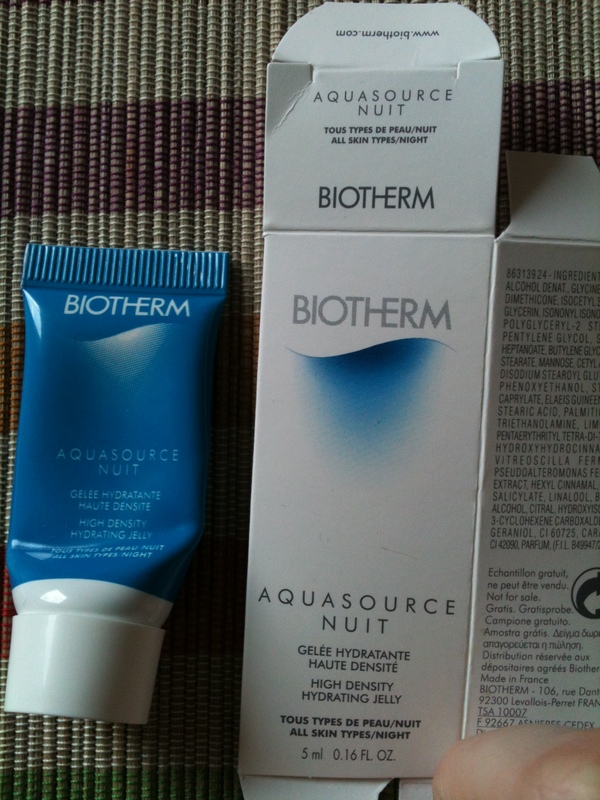 very useful product, slightly cooling, great smell, very moisturizing. can be used all over the body including the face. instead of taking any face cream to my vacation I used this. big recommendation. Aaaand that was my huge post of used up items. you can see, skin care is my biggest contributor here. help, am I obsessed? it is certainly the part where my Glossybox subscription comes in most usefully. 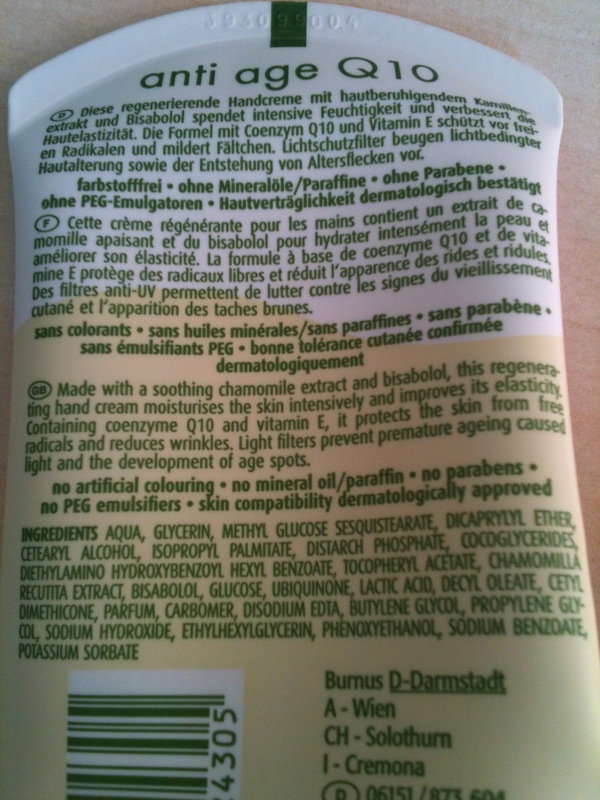 I wish they sent more hand cream. 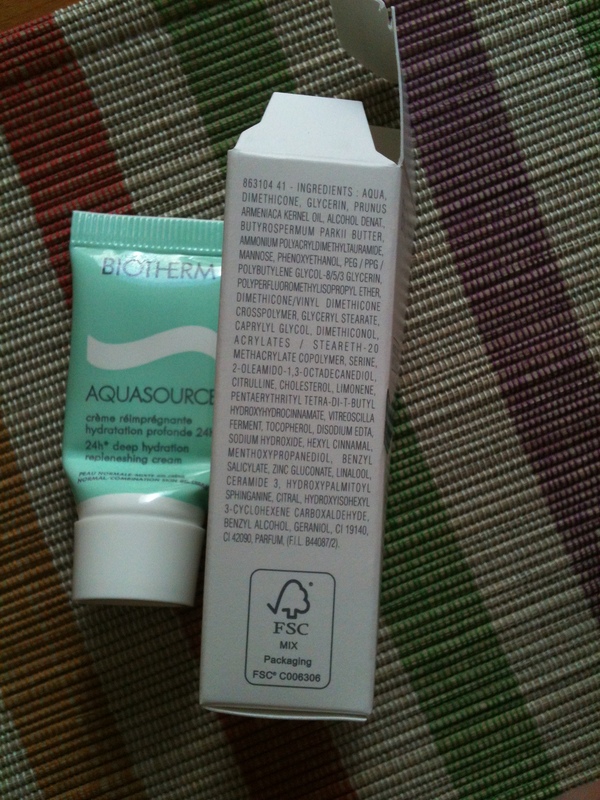 all hand and body products were also used on my feet, which are somehow much softer than my hands, by the way. I’m not allowed to buy more skin care products until I’ve used up the stash that’s been collecting in my drawers. This month I made at least some headway in this department. 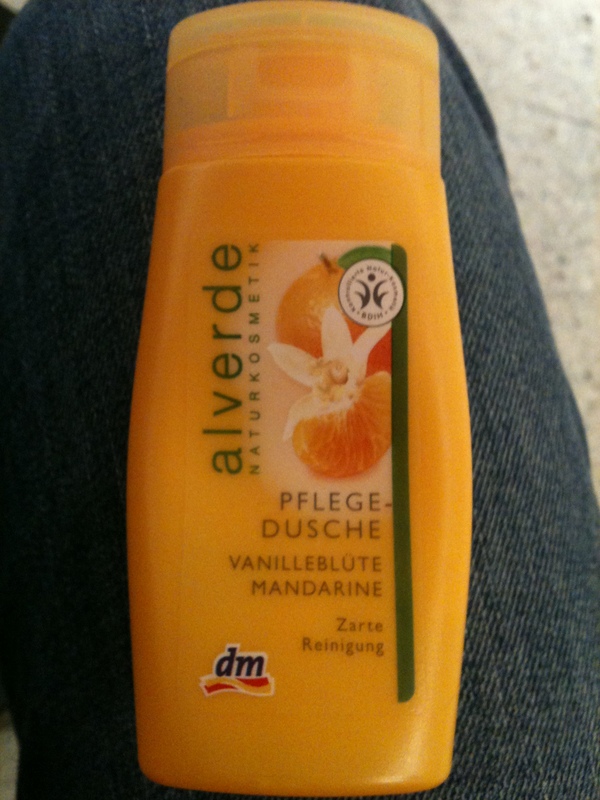 The one thing I am allowed to buy since I constantly run out of it is hand cream, though. 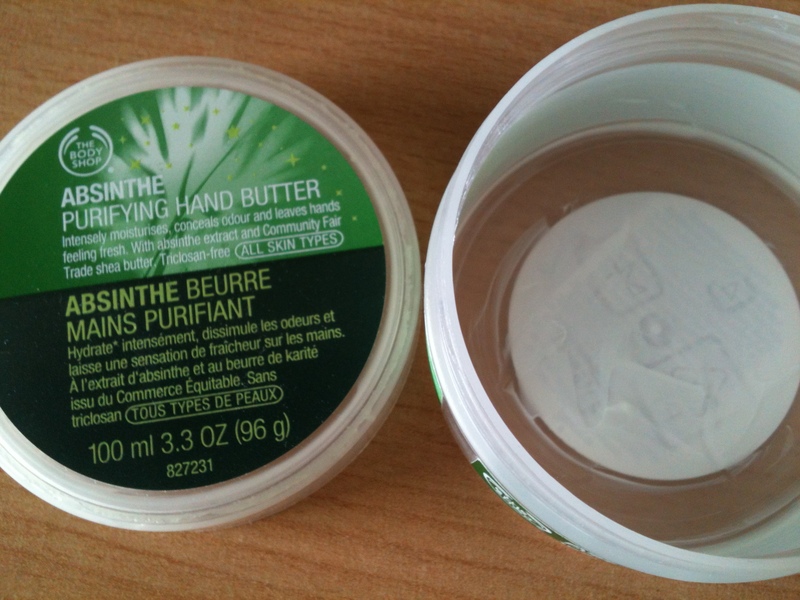 Here a sad empty pot of Absinthe Purifying Hand Butter by the body shop can be seen. This was very helpful with my hands and nails too I believe. Or maybe it was the body shop nail file I purchased along with it. I liked that unlike most body shop products the scent of this wasn’t so in your face. 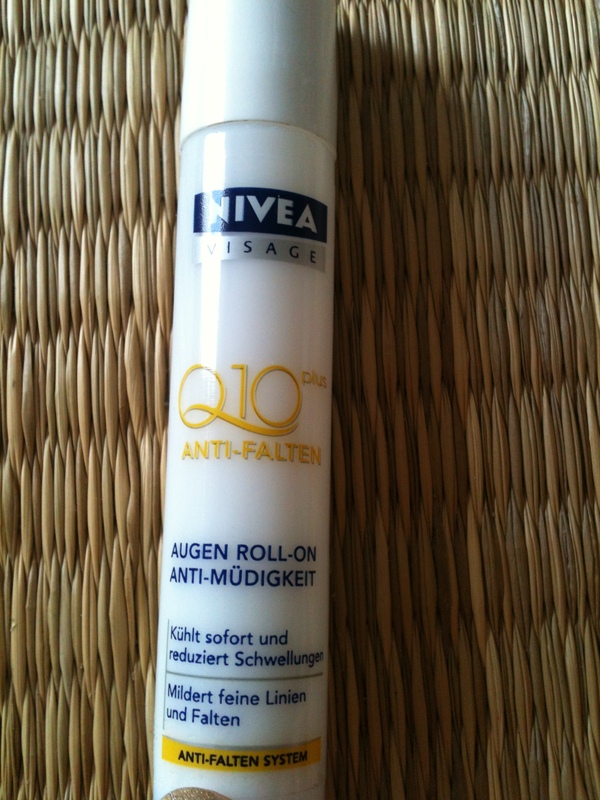 Nivea Q 10 Anti-Falten Augen Roll On (anti wrinkle eye roll on): It claims to cool and reduce swelling but I wouldn’t agree here. As an eye cream it’s good though. When I applied too much, my eye area would be puffy the next day. I think it’s because it tries to reduce the appearance of wrinkles by puffing the skin up from the inside. So while a little product is good, it was hard to control how much product to get out because of the roll on. Sometimes there would be nothing, and then way too much. 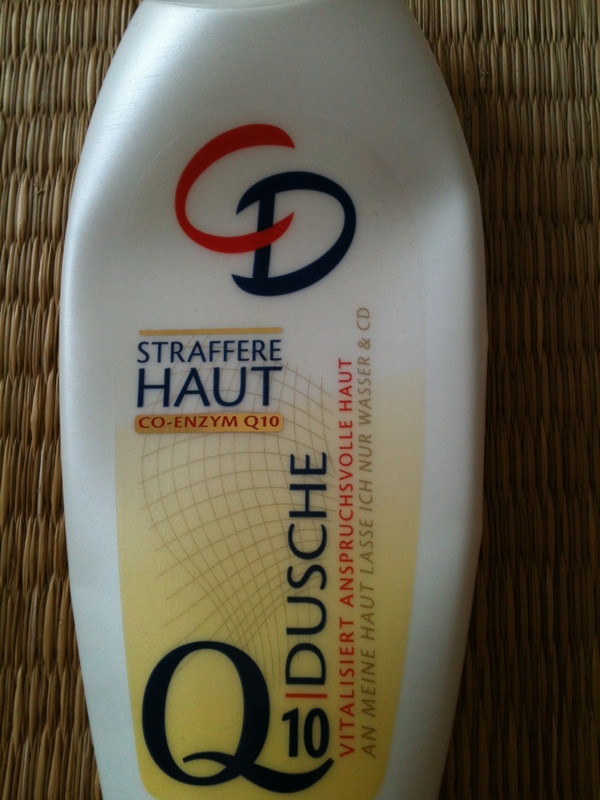 CD Q 10 Dusche (shower gel): I swear I didn’t buy Q 10 products on purpose, but they were both 50% off… Don’t have much to say about it, it’s a good shower gel. 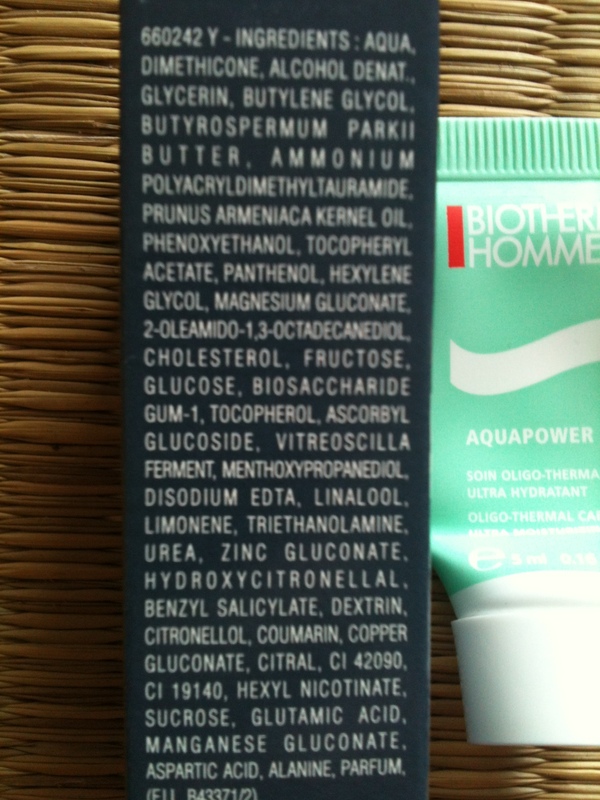 List of ingredients for the shower gel. 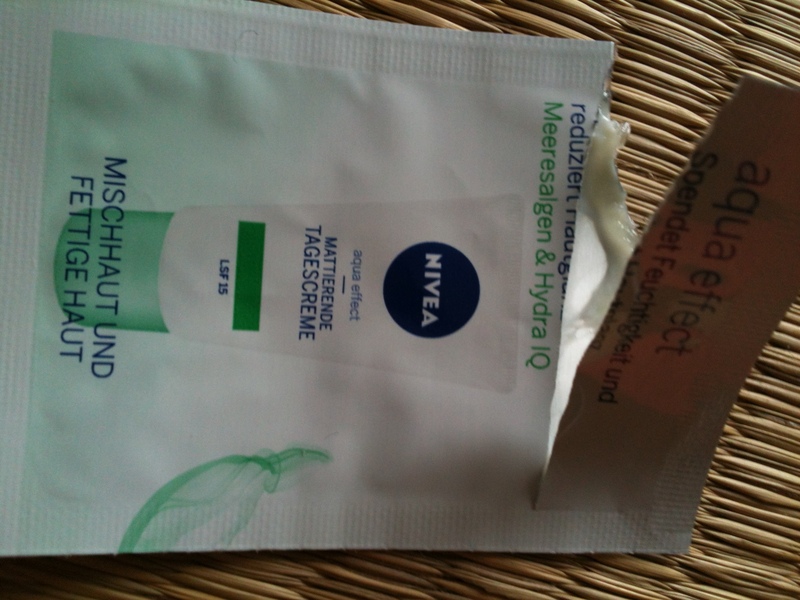 And very last, a sample of Nivea Aqua Effect Mattierende Tagescreme (mattifying day cream) for combination to oily skin, SPF 15. 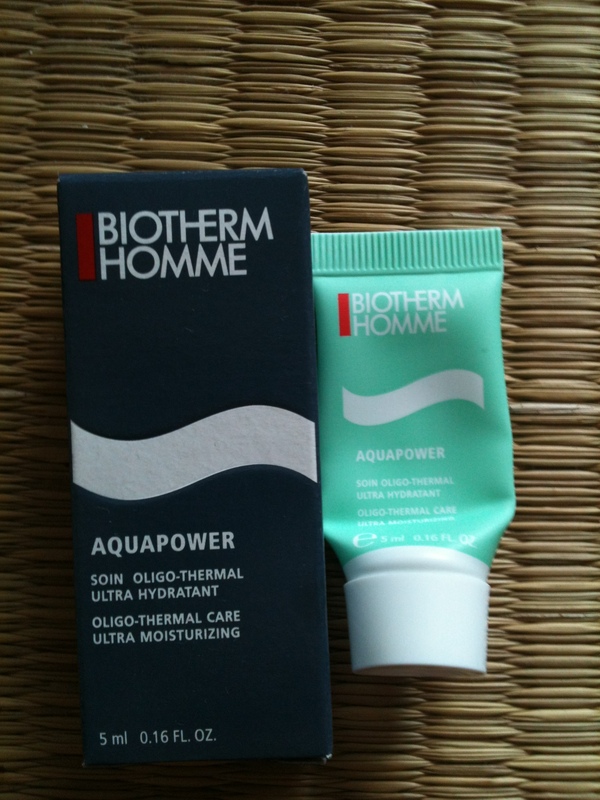 It says it’s combination to oily, but it’s very drying so I can only recommend for skin that is oily all over.